After months of hard work and preparations, Norristown’s Centre Theater is officially ready to welcome newcomers and long-time patrons into its newly revitalized space. As of November 2018, full building renovations were officially completed after many months of hard work from local organizations and members of the community. The Dekalb Street landmark’s renovations span all floors and every corner of the building. Labor for the project was provided entirely by locally-based organizations. Labor donated by the Keystone Mountain Lakes Regional Council of Carpenters, Seiler + Drury Architecture, and IBEW Local 98 brought the ambitious project to life over the span of three months. The building has long been a landmark in the Norristown community. Organizations such as Iron Age Theatre, Theatre Horizon, VOX, Vagabond Acting Troupe, Renaissance Artist Puppet Company, Walla Fest, Open Words, B Sharp Productions and King of Prussia Players, have all previously called the building home. Starving Artist Prevention is currently booking shows at the theater, including the upcoming opera, Gounod’s Faust, which will be performed March 8 and 9. Rotation Records, a recording studio just two doors down from the theater, is putting on a new record release show Feb 23, with Featherborn. You can find tickets here. And in May, the theater will be hosting Sinatra & Cigars on the 10th of the month. You can find tickets here. The event is a fundraiser for the Montgomery County Citizens Advisory Council, which was instrumental in the rehab of the theater space. Both the lighting and sound systems received state of the art upgrades to further immerse the audience in future productions. A full-sized, drop-down big screen for movie nights and children’s theatrical features will be part of the new set up. The seating arrangement received an update as well. Thanks to Seiler + Drury’s architectural expertise, the new seats are designed to be “squirm free” with a handicap accessible front row. Now the theater is equipped to comfortably seat between 120 – 130 patrons. 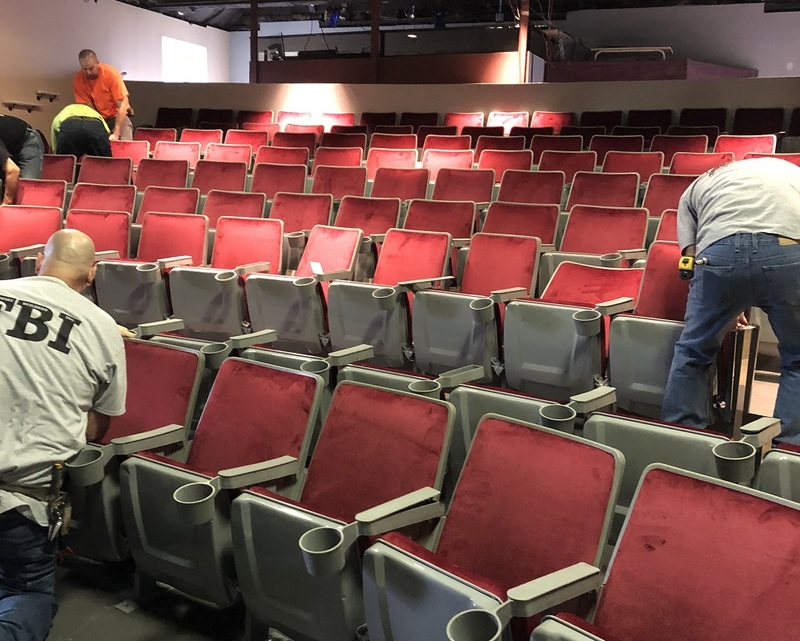 In addition to providing the Norristown community with top quality theatrical performances, Centre Theater’s new layout will help further solidify the building as a community center for numerous local groups. The building is already home to the Centre Theater music school, headed by Steve Kramer, an accomplished cellist and Montgomery County resident. Other groups include church choir groups, Expressive Path, an organization that provides art education to at-risk youth, and Centro de Cultura Arte Trabajo y Educacion (CCATE), an after-school program for kids. With the renovations complete and the theater ready to begin its 2019 season, Centre Theater hopes to continue its legacy as a focal point of entertainment and culture in the Norristown and Montgomery County communities.